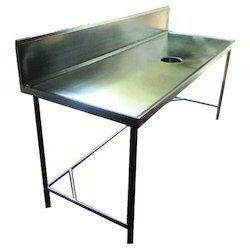 We are Stainless Steel kitchen Racks And Sinks Manufacturers in India,Dish Landing Table Manufacturers in India,Two Sinks Manufacturers in India,Three Sinks Manufacturers in India.CoolStar has been manufacturing high quality stainless steel kitchen sinks for over decades and has been improving millions of kitchens across India , one sink at a time. The kitchen is fast becoming one of the most important areas of the modern house. We know that your kitchen is a personal setting that reflects your own style. while paying close attention to the most minute of details. 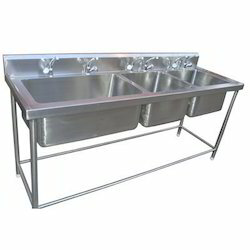 We strongly believe that our high quality sinks make your life in the kitchen easier and more enjoyable while providing long lasting beauty and value for years to come. Cool Star the foremost entity of Two Sink. These are developed by professionals employing the premium quality material, which is attained from dependable merchants of industry. Stainless steel is the medium of choice for many restaurant equipment manufacturers, and for good reason, It's durable and reliable. The different types of stainless steel are determined by the crystalline structure of the steel itself, and these differences in structure can determine the steel’s durability and resistance to corrosion. Your sinks are likely made of stainless steel, so ensure that you’re getting the most from your units by investing in the right stainless steel type. 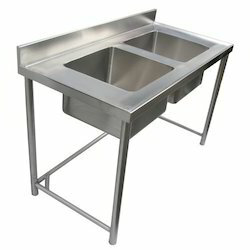 Looking for Racks and Sinks ?